Reading historical books and watching ancient movies of what Southeast Asia was like during the empirical-tribal era, Elephants were used to protect their village. The gentle giants were also their help to find their living and build their civilization. That became my perception, that they can be scary. Past forward my life from my childhood, I have to face my fears and really understand that these species are called gentle giants for a reason and got myself to join a Mahout Training in Chiang Mai, Thailand. I didn’t know what to expect and I also don’t want to be part of hurting animals. 1)Elephants are gentle giants when you are gentle to them too. When I got to the camp, most elephants are free range and some are chained. They mahouts explained that the tied ones are those young and naughty elephants that has to be tied down because they were ruining the farmlands beside their wide elephant mahout training grounds. I thought it wasn’t animal cruelty and just like training your puppy, they will be tied sometimes but mostly free around your home. I wanted to see it myself and understand through experience and not just going with all the social media hype and what other people’s opinion about it. They can be wrong or right but I wanted to see it before I say something. In saving the elephants, you have to know that their mahouts grow with them and as young as an 11 year old mahout who depended his life to the elephant they are taking care of it should also be an eye opener that both elephant and the boy mahout depend on each other. Although I am not saying that animal cruelty may not exist in the elephant industry in that part of the world, it may be at the other camps which other animal rescue in Thailand is working to help, the ones I saw were the ones I can speak for. Only what I saw and experience. If you wish to do the same and contribute in saving check out Elephant Nature Park and make sure you book ahead of time because they get fully booked months ahead. 2)Younger ones can be naughty. They play nice and fun. 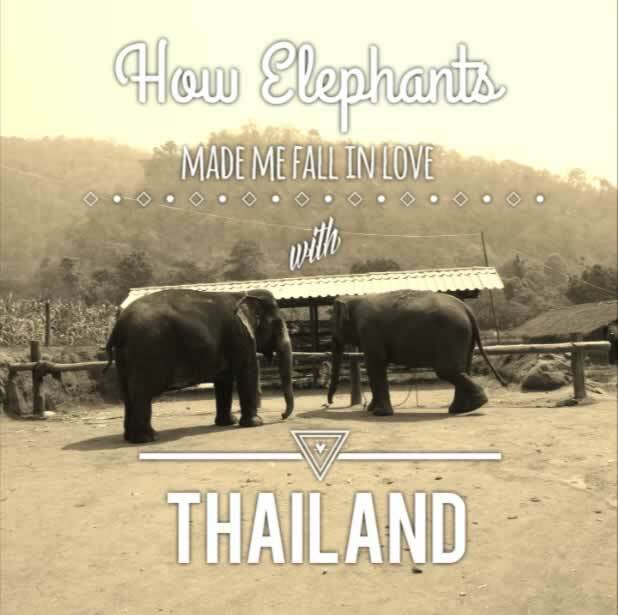 Now, I want to share how I gained a gentle giant friend in Chiang Mai. Her name is Somsi and she’s as old as I am. Somsi was really playful which intimidated me at first, but once I got to feed her couple bunch of bananas I think we got each others’ humor. 3)They love eating! Other than bananas, they eat corn, husks, chopped banana trunks. In short, they’re herbivores and in lay man’s term ‘vegetarians’. 4)They have an exceptional memory. One story I read online is that a family that went to see elephants at the sanctuary that got reconnected 10 years later when they went back. The exact elephant remembered her and her teenage daughter that was a toddler when they first visited the elephant, and I have yet to find that out one day. I tell you what, Somsi was laughing and aside from the mahouts just keeps splashing a bucket of water to me here and there, she was splashing water to me with her snout too! Somsi was cheeky and splashing others who throws us water too. We sure had a blast that day!